In simple terms downdraught is a problem that occurs as a result of air being forced back down a chimney. This is most frequently caused by wind which causes positive pressure at the top of a chimney. For example, wind may flow down towards the top of a chimney after passing over obstacles such as trees, neighbouring roofs, and any other obstacles it might encounter. Wind can also flow up a building and approach a chimney from below. All these factors can create downdraught. Colt Cowls produced the first commercially successful anti downdraught cowl in 1931 namely the ‘Colt Cowl’ which was designed to create lift much in the same way an aircraft wing might. Since that time over 3 million of the original Colt Cowls have been successfully installed to solve downdraught issues. In 1985 Colt Cowls developed the Colt Top which performs in the same way but is additionally multi directional. Around 1 million Colt Tops have been successfully installed since. Both these chimney cowls come with the unconditional Colt Cowls Money Back Guarantee. That is to say, if the cowl does not solve your downdraught issue you will get your money back! 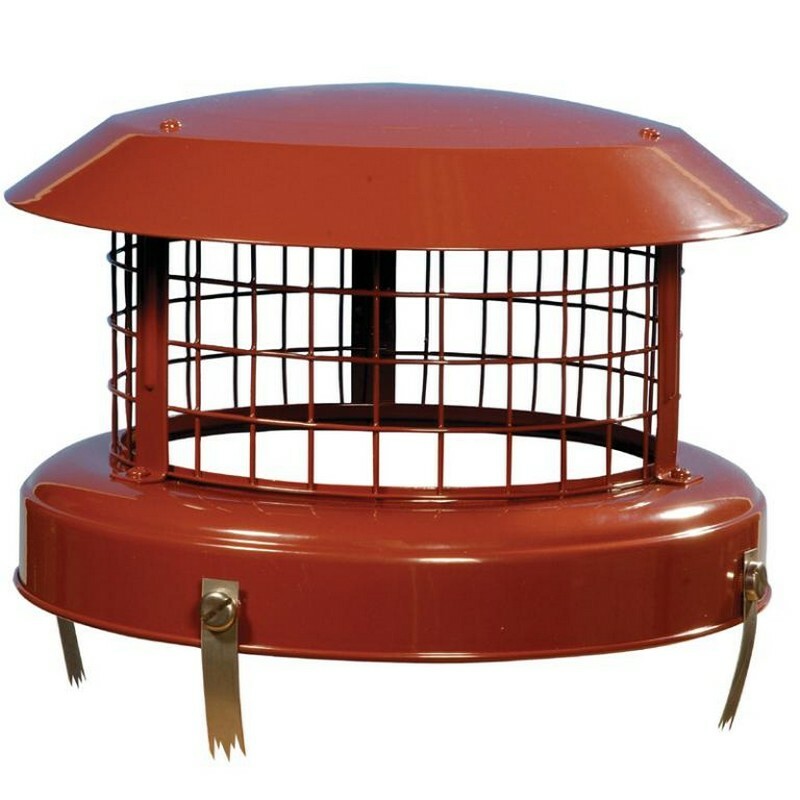 Why are Colt Cowls regarded as the best quality chimney cowls available? There have been reported cases of debris from solid fuels (such as wet or unseasoned wood or even coal) clogging up the spaces in the finer gas mesh. This can cause two problems. 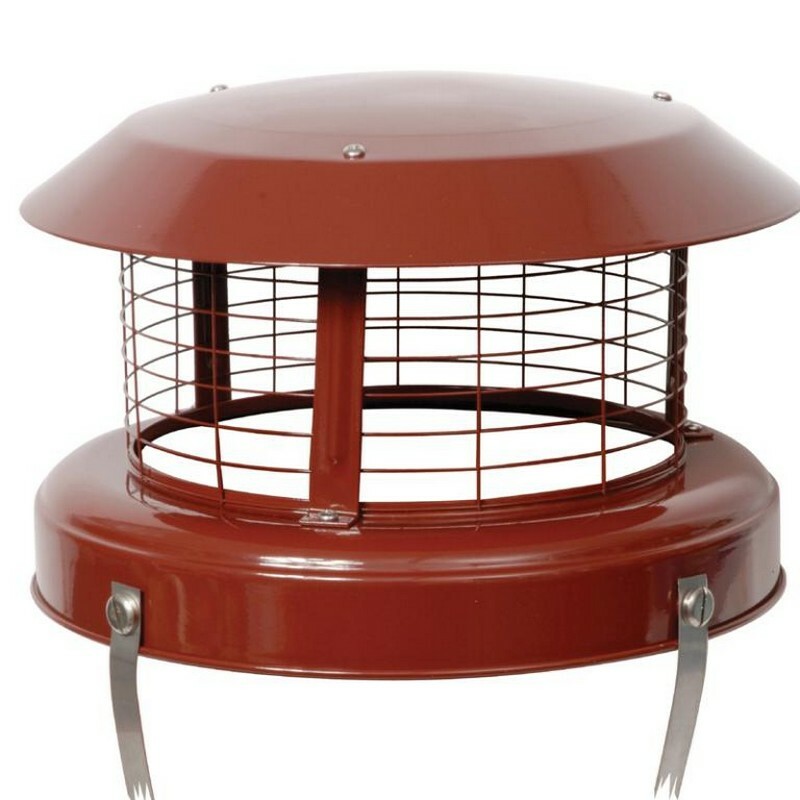 Firstly, the clogged birdguard can cause a restriction to the flow of gases out of the chimney. Secondly, in extreme cases, the extractives clogging the birdguard could get ignited by a spark potentially causing a chimney fire. This is why we recommend removing the gas mesh from the Colt Top’s and Colt Top 2’s when used on solid-fuel. Colt Cowls will always recommend that a customer tries a static anti downdraught cowl in the first instance when they encounter a downdraught issue. The reason for this is really twofold. 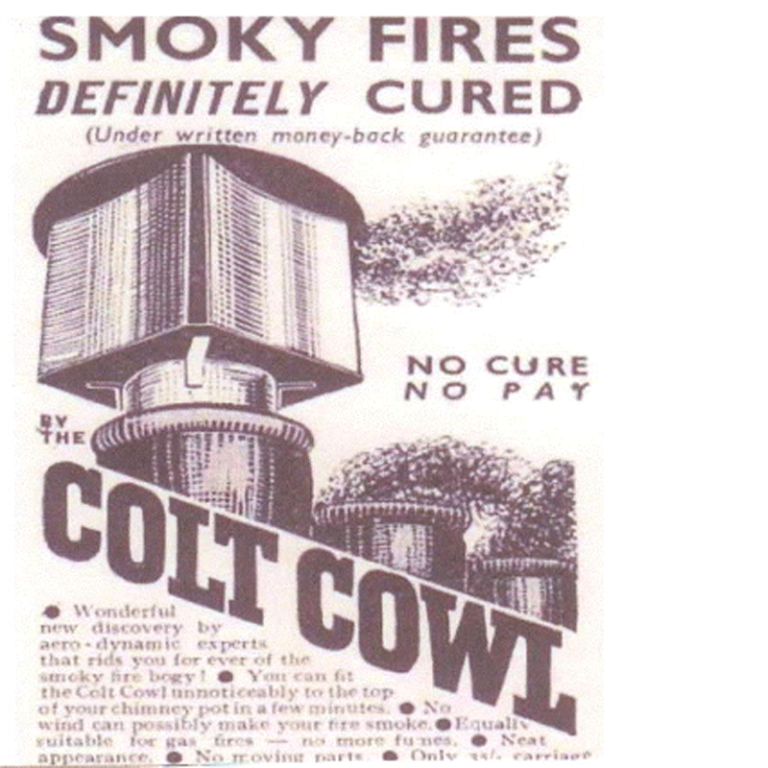 Static Anti downdraught cowls like the Colt Top and Colt Top 2 chimney cowls have been solving chimney problems for years, and come with a money back guarantee, so you can’t really lose…if it doesn’t solve your problem…you get your money back! Secondly the static anti downdraught cowls are less expensive and if we can sell our customers a cowl that solves the problem and saves them money we will do! • On chimneys less than 4m in height. These would typically be bungalows, as most houses have chimneys in excess of 7m. • On the top of chimneys that are likely to exceed 250 °C. This is an extremely high temperature to come out of the top of a chimney and would usually only occur when installed on a high wattage stove which has a very well insulated flue system. Again, the shorter the chimney, the higher the temperature is likely to be. • When wet or unseasoned wood is being burnt. This is a fairly obvious piece of advice as unseasoned wood causes a lot of tar to be produced when it is burnt. This sticky substance is the nemesis of a mechanical product as it can lead to the bearings and spindle slowly seizing up. Well-seasoned logs are fine, as is the majority of smokeless fuels. Colt cowls are manufactured to the highest quality and so can be expected to operate for a many years. In fact over 4 million Colt Cowls have been successfully installed since 1931 and a huge number are still there decades later! We also have a Money Back Guarantee in place for any anti-downdraught cowl that fails to solve fix your downdraught problem (smoke blowing back down the chimney) as we’re that confident in what they can do! Free next working day delivery is given for all cowl products towards all areas of mainland UK (Wales, Scotland, England) provided the cowl is ordered prior to 13:30. The only exception to this rule is for the 4 most northern postcode regions (AB, IV, KW, PH) which have a free 2-working day delivery. Any products going offshore (for example, Northern Ireland, Isle of Wight, Isle of Man, Channel Islands, Scottish Islands) a carriage charge will be in effect. This charge will vary depending on quantity and weight of items. Any orders to be delivered to these regions must be placed via our Head Office over the phone (0870 241 1041) so that these charges may be applied. Where are your Colt Chimney Cowls available? We supply a number of different builders merchants for example Jewson, Toolstation, BES, Flue Supplies and Flue Systems, chimney sweeps, installers, and fireplace centres. For specific suppliers in your area please get in touch with us a 0870 241 1041 or at enquiries@coltcowls.co.uk. What is a flexible flue liner? A flexible flue liner is a twin wall stainless steel system used to line the inside of your chimney giving the fumes from your fireplace or stove a direct access to the chimney pot. They attach directly onto stove pipes or gather units using an adapter and can be suspended from the pot by being attached to pot hanging/flex cowls or by using fixing plates and clamping brackets. What do Colt Cowls manufacture? Colt Cowls manufacture the accessories such as the adapters, fixing plates and clamping brackets. We also manufacture our High Top Flex and Colt Top flex products. The liner we have made to order and dispatched for next working day. We also stock flue pipe (both vitreous enamel and stainless steel single skin), and twin wall insulated flues. What type of chimney liner do you supply? We can supply two different types of flexible liner, both of an extremely high quality. We provide 316/316 grade liners for 125mm, 150mm, 175mm, & 200mm inner diameter with a 15 year warranty. We also provide the stronger 904/316 grade liners for the same measurements with a 30 year warranty. If you are interested in any special diameters please get in touch with us on 0870 241 1041 or enquiries@coltcowls.co.uk. What is your delivery time on chimney liner? We supply flexible flue liner next working day to Wales, England, and Scotland at a carriage cost of £16 + VAT. To post code regions AB, IV, KW, & PH the carriage is 2 days and the cost is £30 + VAT. For deliveries to locations outside mainland UK (Northern Ireland, Isle of Wight, Isle of Man, Channel Islands, Scottish Islands) further carriage charges are to be expected. Clearly a comprehensive list of every frequently asked question on every single product Colt Cowl product we sell would be practically impossible...but if you do have a question which is not answered above then please contact us on our live chat or call 01243 781559 between the hours of 08.30am and 5.00pm Monday to Friday. If it is out of hours, you will see 'Offline' displayed as below so simply leave us an e mail and we will get back to you promptly when the office reopens.